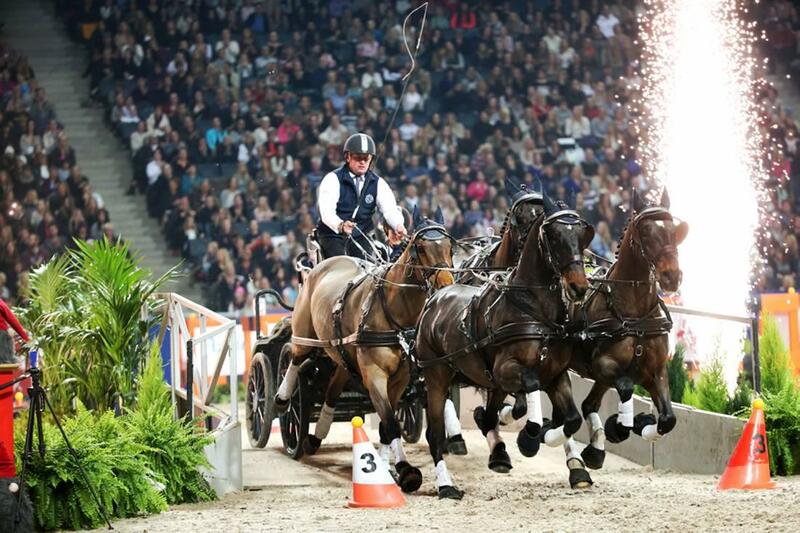 Reigning FEI World Cup Driving champion Boyd Exell (AUS) won the first FEI World Cup Driving qualifier of the 2014-2015 season held as part of the Stuttgart German Masters. Photo: Karl-Heinz Frieler/FEI. Reigning FEI World Cup Driving champion Boyd Exell (AUS) won the series first qualifier of the season in the packed Schleyer Halle in Stuttgart (GER) after performing two thrilling rounds. IJsbrand Chardon (NED) was the runner up while third place was claimed by home driver Christoph Sandmann. Exell drove his very fast bay team, including his new leader horse Poker, to the top place in the first round and recorded a very fast time. Poker and the left leader horse Bajnok are Lipizzaners by the same sire. The Australian was however a little too confident and went too fast in one of the marathon type obstacles knocking a ball down with the leader bars. Fortunately this did not endanger the leading position he had secured after the first round. 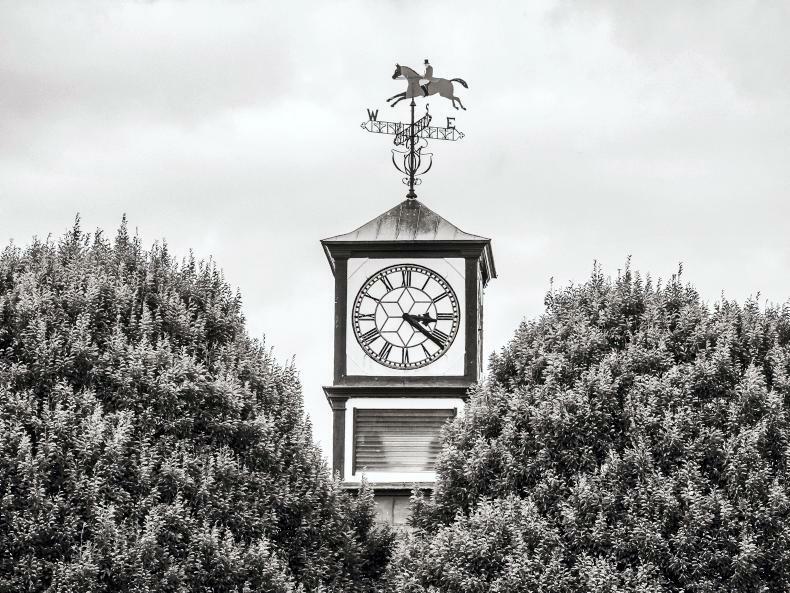 His opponent Chardon competed with his experienced team of Lipizzaner horses and was two seconds faster, but the four-time world champion had three knockdowns, which almost cost him a starting place in the Winning Round. Wildcard driver Daniel Schneiders (GER) also made three mistakes and was slower than Chardon, which caused him to drop to seventh place. 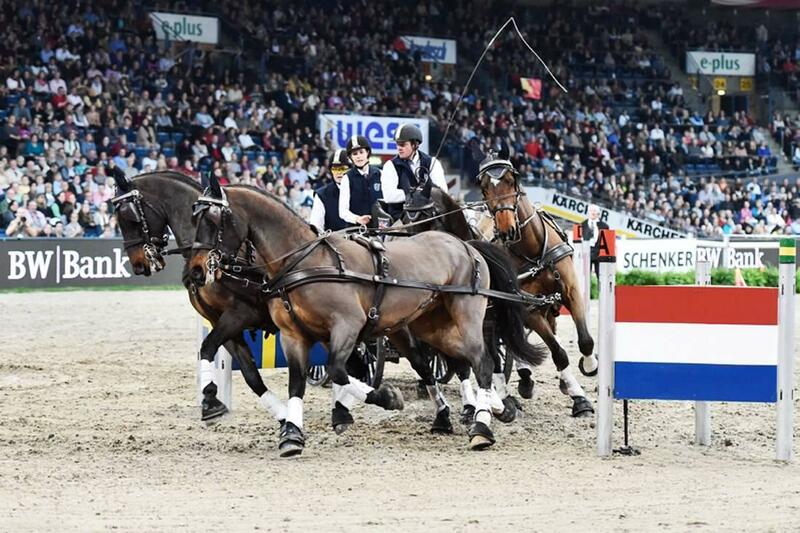 Germany’s Christoph Sandmann had put together a special indoor team consisting of two horses from the retired German four-in-hand driver Christian Plücker, a horse borrowed from Georg von Stein and a young horse from his daughter Anna, who was also his navigator today. Sandmann tested this team for the first time last weekend at a national indoor Driving event in the Netherlands. Today he drove a steady and clear first round and qualified for the Winning Round. 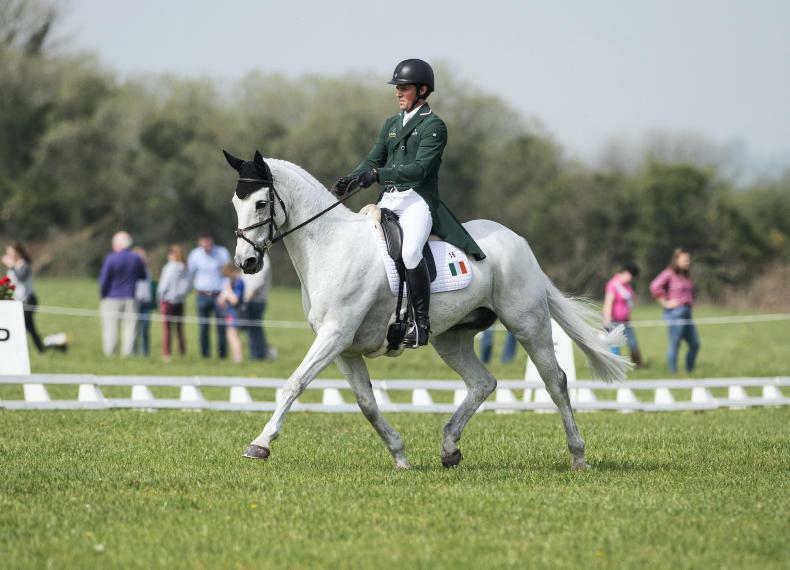 Chardon was first to go in the Winning Round, which took place over a shortened course, designed by 4* Course Designer Dr Wolfgang Asendorf (GER). All the drivers praised the fast and technical course, which proved very attractive for the knowledgeable Stuttgart crowd. Chardon drove a fantastic fast and clear round, which Sandmann was unable to equal despite the help from daughter Anna, who gave the team her voice given that her father had lost his due to a cold. Exell demonstrated great skills and led his team in full speed over the course, cheered all along by the enthusiastic spectators. 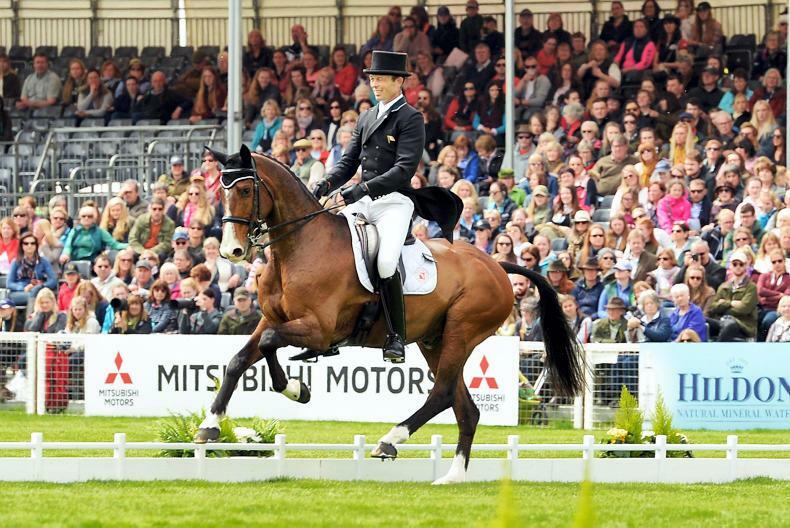 He was faster than Chardon winning with a nine-second advantage, which made him the super star in Stuttgart. This is the fourth time that the Australian has been crowned as ‘German Master’ in the Schleyer Halle. 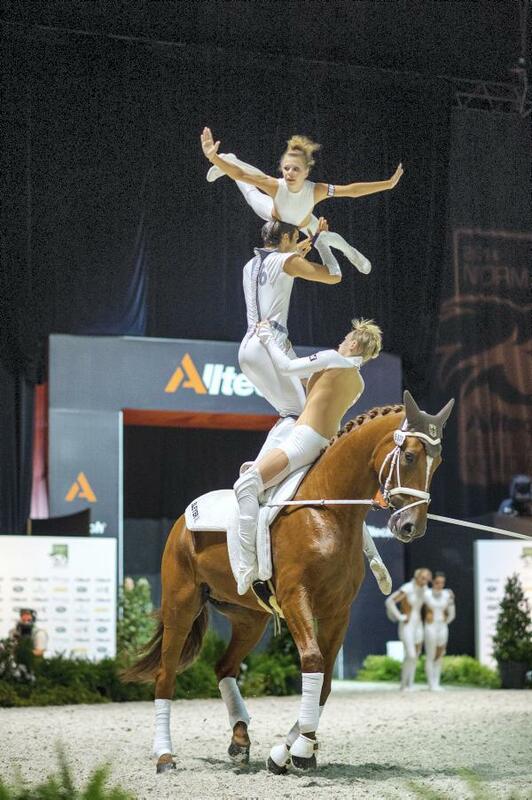 Exell and Chardon are not the only ones to compete with the fast Lipizzaner horses during the indoor season. József Dobrovitz (HUN) drove his team of grey Lipizzaners to the fourth place and was followed by wildcard driver Georg von Stein (GER), who competed for the first time with two new bay Lipizzaner horses in the lead. Newcomer Glenn Geerts (BEL) has put together a complete indoor team of four grey Lipizzaners. Geerts drove a steady clear round and finished in sixth place. Second wildcard driver Daniel Schneiders had a good start on the first competition day and was a good candidate for the Winning Round, but the German Master 2013 had three knockdowns and finished seventh.